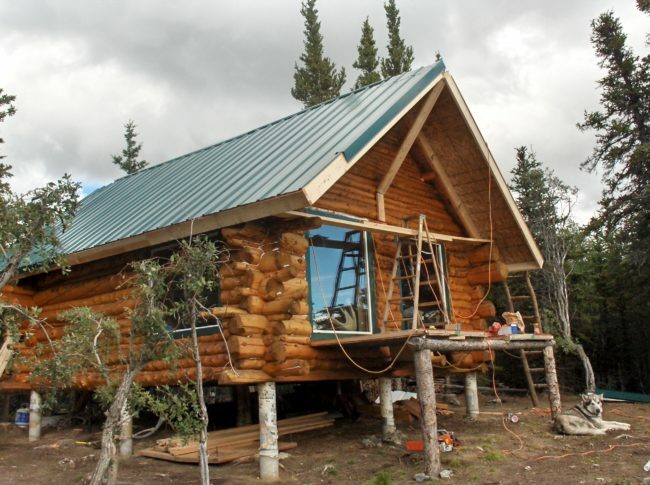 BUILDING A FULL SCRIBE LOG CABIN! 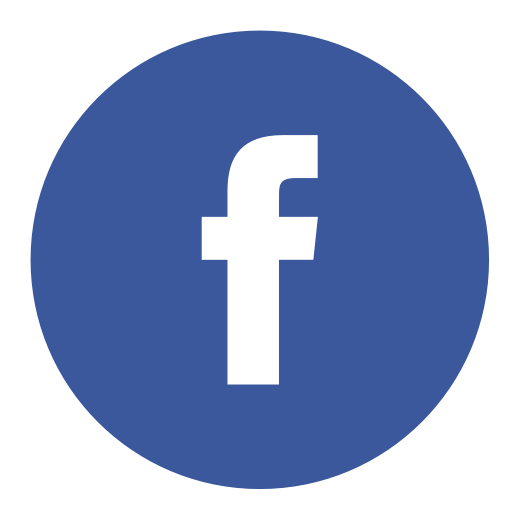 We bought our five acre parcel of land in the Spring of 2004 and started dreaming up what we were going to do on it. 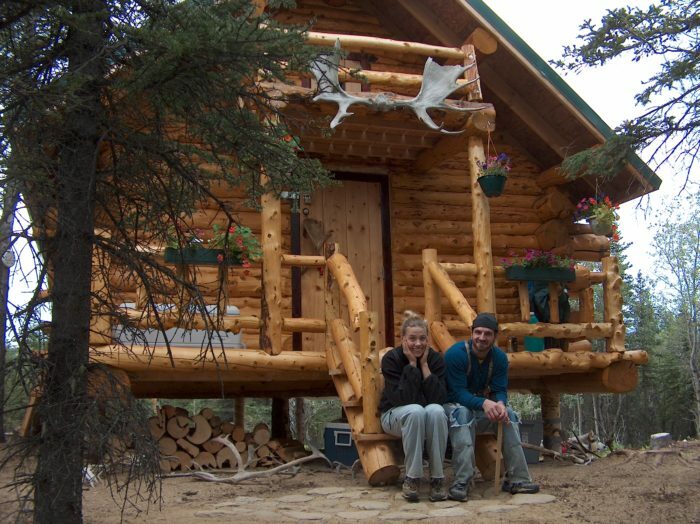 We told our folks we were going to build a cabin; I think my parents didn't believe me and thought I was a little crazy! By far one of the best experiences of my life! 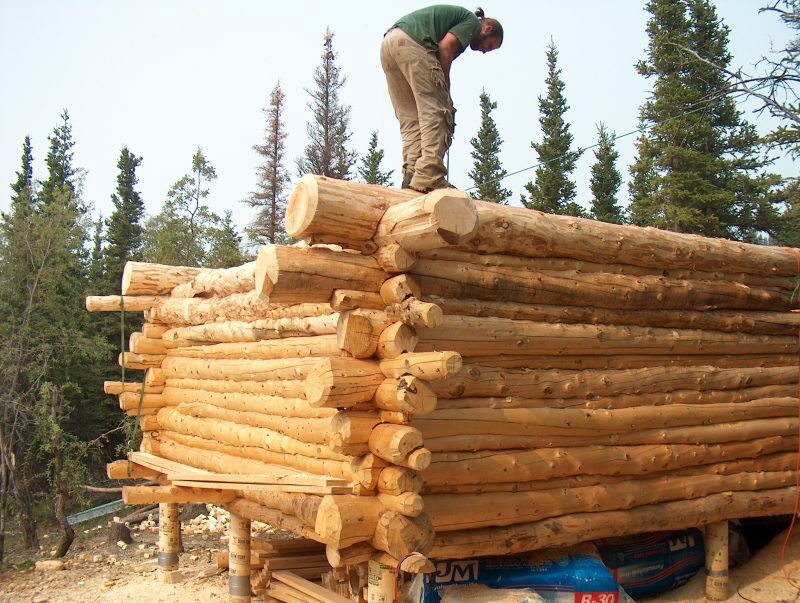 We undertook the great task of clearing our slice of land in Alaska to harvest and peel our own logs to build ourselves a full scribe log cabin. 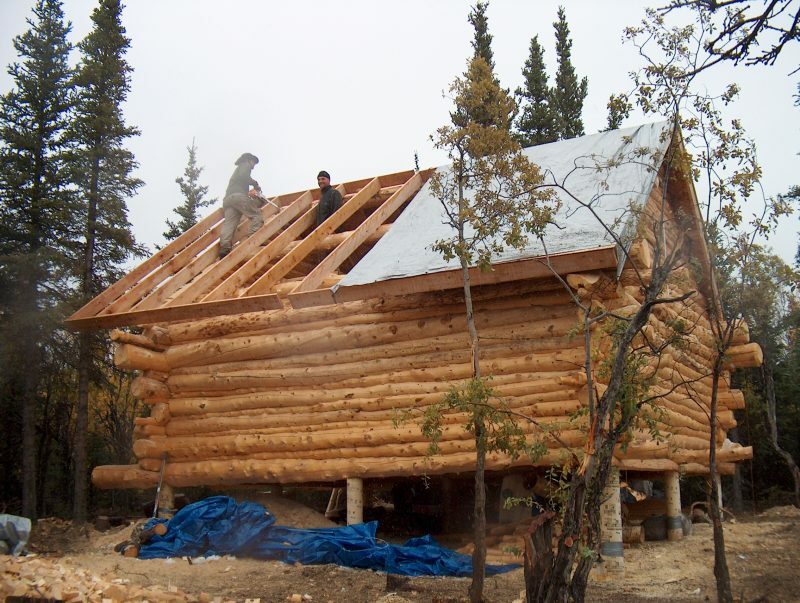 Full scribe log cabin building project in Alaska! 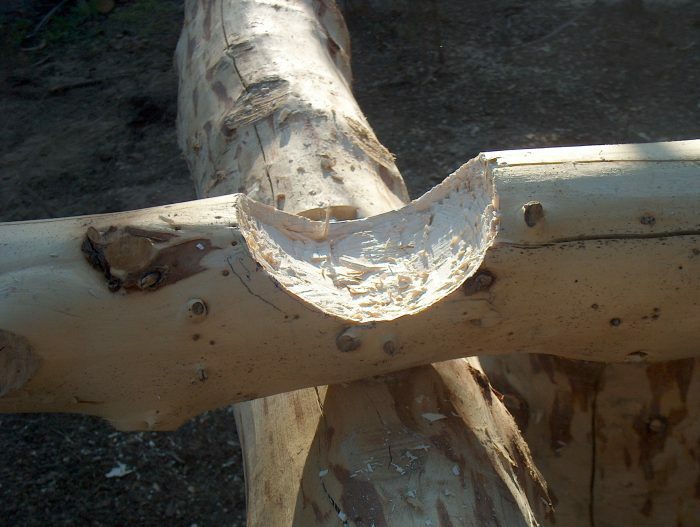 We made our own log scribe, chainsawed and chiseled all our notches, and learned a lot about log cabin building! 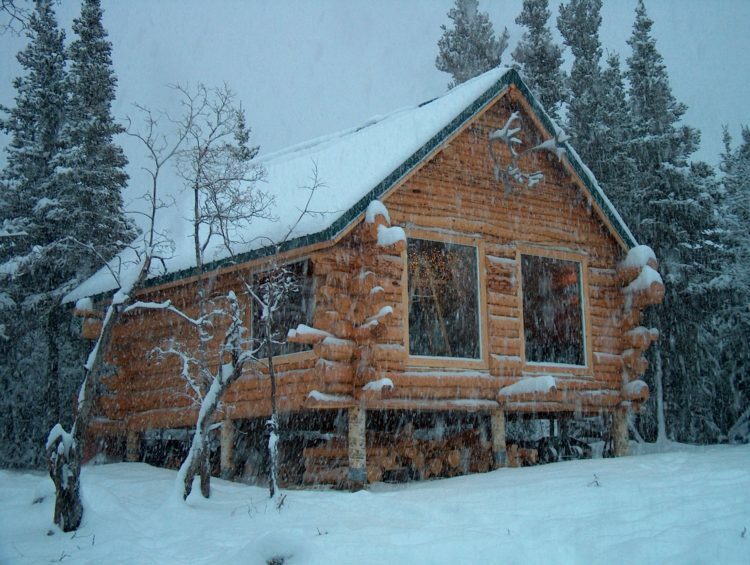 Winter is quickly closing in and the rush is on to get our cabin closed in. The roof is on, windows put in place....we are ready. 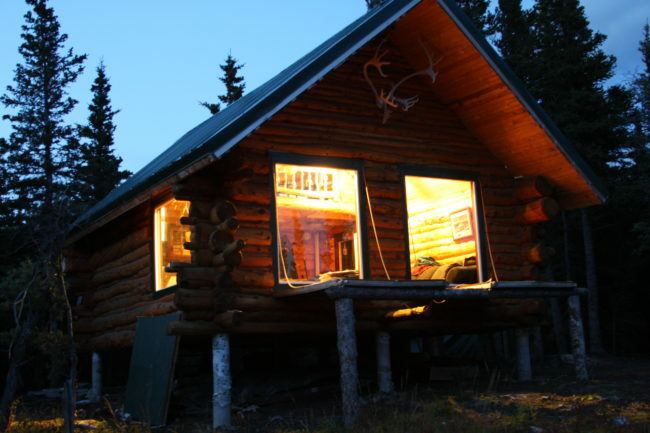 The first night we spent inside our drafting cabin was luxurious. We have a stove to keep her warm, but lots of trim work to do around the windows and ceiling to keep the winds out. Well the cabin survived it's first winter and it held up great. We have so many projects to tackle as spring and summer come. 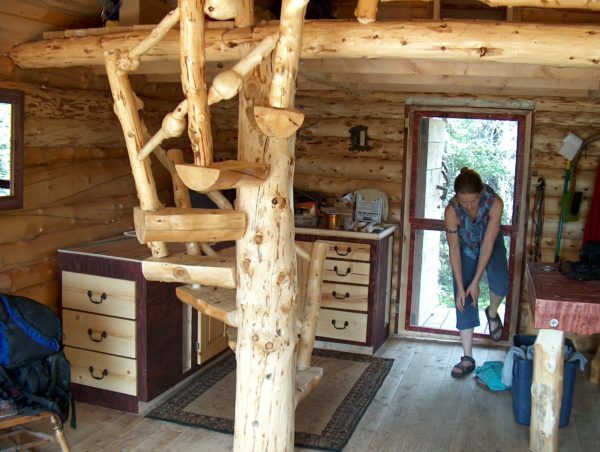 We first plan to build our log spiral staircase to the loft and put log railing up in the loft as well. We are finishing up the outside with a porch and stairs. Makes it much easier to get inside and out! Also finished up our kitchen area in the cabin. River rock for a counter top is interesting. Spent a day sealing the logs with Wood Guard, and prepared the cabin for visitors. We moved to our cabin for about three months during the late summer and fall of 2006. It was fun learning how to live so simply! My heart desires this simple type of living! We were only gone a year and a half, but it was too long. We are so thankful to be back here! Our cabin was such a warm welcome to the land we love!